Congratulations to the Winners and to all the participants! A humble request... I hope the participants could post a brief (or detailed if you prefer) breakdown of their dioramas as well as their thoughts on the whole creative process. Congratulations again. Awesome, awesome work! Keep at it. I like that you went to the effort to actually compose a backdrop. I only voted for entries that, like yours, constructed an environment for the figures. @Lizerd , your effort is still way better than my years of procrastination. Congratulations to everyone and huge thanks to all that voted for my photo! Lol I’m either giving to my art teacher or axing it. The cast of Frozen: Fallen Kingdom would like to thank all those who voted for them and any who may have chuckled on seeing the feature. They also congratulate the worthy winners and all the other participants in this phenomenal panoramic prehistoric festival! Please be re-assured that no princess, snowman, reindeer or dinosaur was hurt in the making of this production. I am so honored to have gotten an honorable mention! It is so cool to be included with such amazing entries. Thank you to everyone who voted. My diorama was built to fit inside a small glass display case. I had originally intended it for one of my hadrosaurs but alas they did not fit so these little Shapeways theropods took their place. 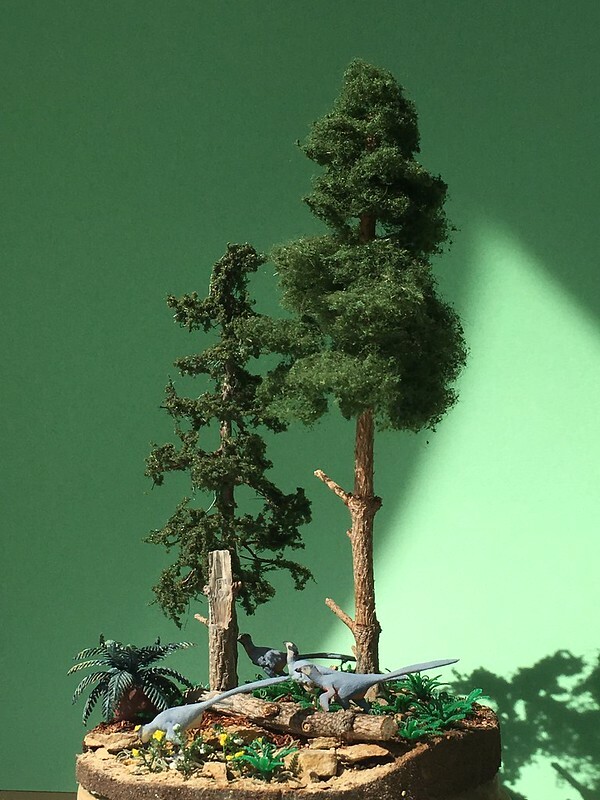 The background is a photo I took years ago when visiting Sweden, and ended up being a perfect pine forest (every time I see a setting that looks vaguely prehistoric I photograph it just for future diorama use). Here's a photo of the whole diorama without the background. @Ramose I loved that diorama, definitely one of the ones that got my vote!